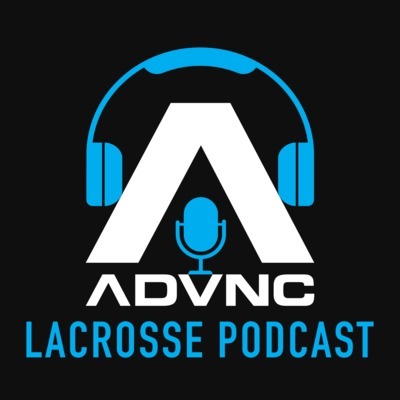 ADVNC Lacrosse Founder & CEO, Chris Rotelli hosts the ADVNC Lacrosse Podcast. This show brings in guests from all over the country to discuss the great sport of lacrosse. Rob Pannell: ADVNC Founder & CEO Chris Rotelli welcomes the reigning MLL MVP Rob Pannell to the show. Rob is one of the most prolific attackmen in the history of lacrosse, and is widely regarded as one of the best current lacrosse players in the world. Rob & Chris discuss the following topics: - How Rob came to love playing lacrosse - Getting recruited to Cornell - Rob's record breaking 2013 season for the Big Red - Winning a World Championship for Team USA - Playing in the MLL and winning the 2018 MVP award - How playing Box Lacrosse helps improve his skills - Rob's fitness regimen - His New "Attack Academy"
Mikie Schlosser: Welcome to the inaugural edition of the ADVNC Lacrosse Podcast. Founder & CEO Chris Rotelli is your host for this episode. We are proud to have Mikie Schlosser as our first guest. Mikie started playing on ADVNC teams in 8th grade. He then was a 2 year captain for the University of Michigan lacrosse team. Mikie just won his 1st MLL Championship as a member of the Denver Outlaws. We hope you enjoy our show.